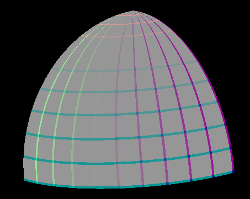 I am given an irregular geometry shape with its vertices, bounding box information. 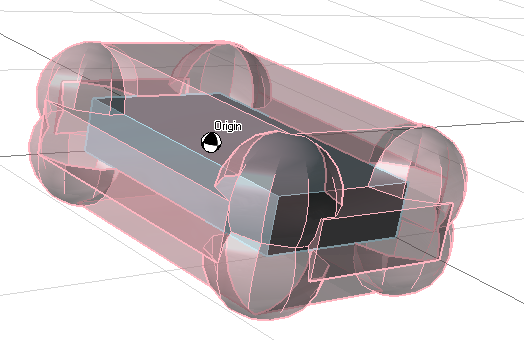 How to draw a smooth mesh equal distance from that irregular geometry shape's bounding box? Is there any algorithm or formula I can utilise to draw mesh around a bounding box? 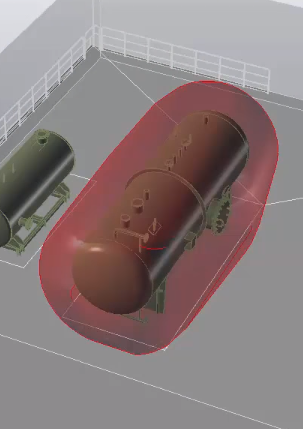 As Rahul mentioned in a comment, you can achieve this by adding a total of 12 cylinders at the edges of the bounding box, connecting the spheres at the corners. 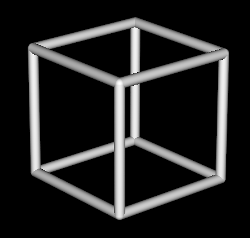 If you want to render the bounding box transparently, I don't see an easy way to hide the intersections of the spheres and cylinders without knowing what program you are using. You could try to use partial spheres for the corners and see if that helps, i.e. Not the answer you're looking for? Browse other questions tagged 3d geometry mesh or ask your own question. How can I convert signed distance field to a mesh?